Cuba is picturesque everywhere, but most visitors trek to the more accessible western end of the island – Havana and the nearby white-sand beaches, the historic bay and its boardwalk (malecón). This is the tourist mecca of colonial architecture and burgeoning arts, old time cars in a modern metropolis. But Cuba the island – in the popular imagination and poetry – is a long crocodile (caiman). The west – and Havana – is the tail. The head of the caiman, my old people always said, is in the rugged east, the craggy mountain cordilleras of the fabled region called Oriente. Cuba begins through the Oriente, where the most settled Indian territories or cacicazgos, held sway. Through here the Spanish arrived in their conquest of Cuba in 1511 and here it was that the early Indian rebellions later evolved into the independence movements and wars of the 19th century. José Martí, the “Cuban Apostle” in the war against Spain was killed in battle near here. Teddy Roosevelt fought Spanish infantry nearby, at San Juan Hill. Even Fidel Castro’s revolution of the 1950s emerged in the history of these eastern mountains. “Cuba profunda,” Alejandro Hartmann, calls it, “Deep Cuba.” Hartmann is city historian and director of the Matachin Museum, in the town of Baracoa, an ancient Native (Taíno) coastal village that became the first Spanish settlement in Cuba. Baracoa is still considered the gateway to indigenous Cuba. When Hartmann refers to Cuba profunda, he is signaling this reality: despite all the claims of Native people’s extinction in the Caribbean, in this region, encompassing the thick mountain chains inland from Baracoa to Guantanamo, and through the wider sierras, a Cuban indigenous presence is still recognizable. La Rancheria is one of numerous small caserios or homesteads of the Native descended clan of Cubans known as the Rojas-Ramírez, called by anthropologists “la Gran Familia,” or the largest family in Cuba. 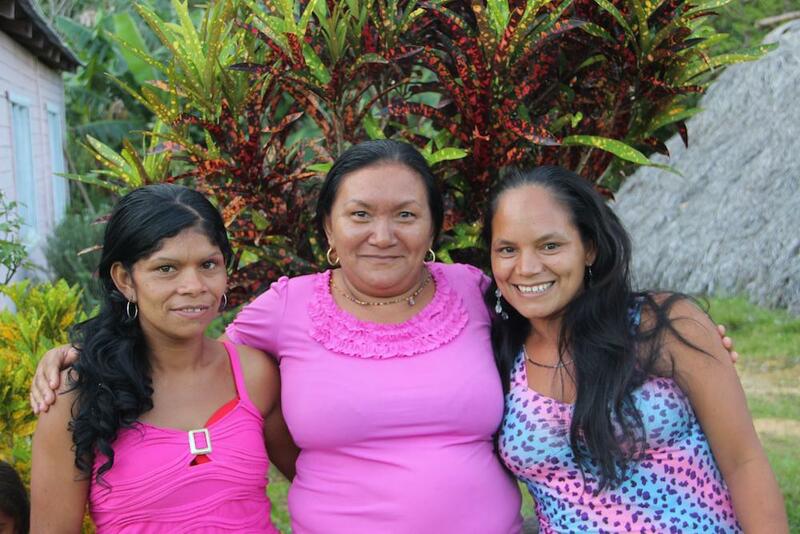 The Rojas-Ramírez families are descendants of the Native Caribbean people that today are popularly and academically known as the Taíno. 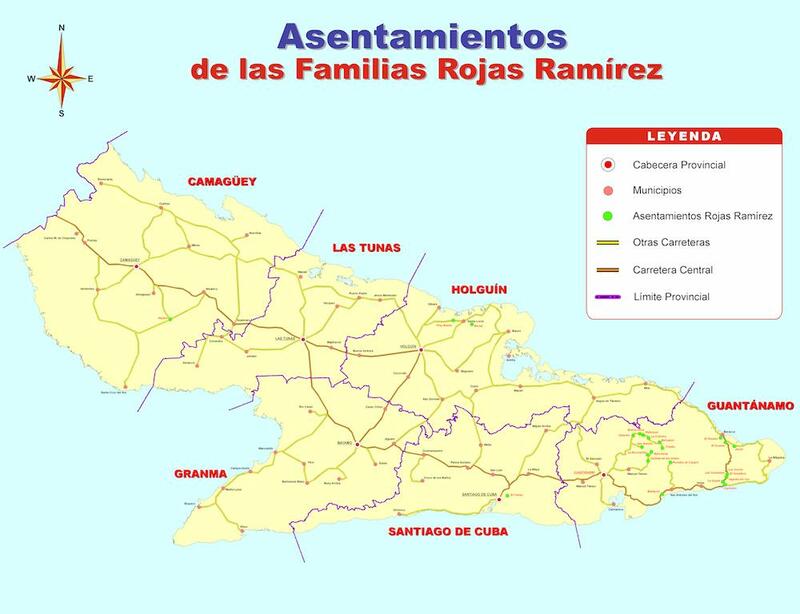 There are numerous caserios of Rojas-Ramírez families in over 20 localities in the Cuban eastern mountains and coasts, a kinship with upwards of 4,000 people. The particular community of La Rancheria is nestled high up the wooded mountains of a pueblo called Caridad de los Indios. Nearby, about half an hour by horse, is another Native community of La Escondida, or “the hideout.” These were the most remote refuge areas – called palenques, in Cuba – where numerous Indian families migrated after losing lowland farms and their last Indian jurisdiction, El Caney, as late as 1850. After four hours of riding up the mountain first in a jeep, then a large open truck, we find Cacique Panchito in good health. At 81, he has taken up using a cane, but has good mobility and is lucid as ever. Healthy and mobile too is the family matriarch and Panchito’s wife of 60 years, Reina. They are busy today with a visit from several related families. A pig has been butchered by sons and grandsons, who are making fire and roasting it in a pit. Several of their daughters and granddaughters chat and cut up tubers such as malanga, boniato and yucca – all original Indian crops – and sort rice, corn and beans to cook for the feast. Panchito Ramirez is a born and bred Indio campesino, whose deep roots in the teachings of his elders singled him out for respect and recognition as main authority – cacique – of his community for more than 40 years. Other caciques had come before him in these remote mountain communities, but were so marginalized and out of sight that the national society assumed all Cuban Indians extinct. The reality of actual small communities was obscured by the fog of national scholars who predicated a strict Spanish-African origin for the Cuban population, repeatedly denying the indigenous strand in the national braid. Panchito touched on the subject during our visit, recounting the long and compelling history of his particular kinship gens, the Rojas-Ramírez families. The ancestry goes back to the last wave of indigenous settlement in Cuba – Taíno – who greeted the Spanish conquest and who, contrary to the popular narrative of their extinction, actually survived, as small groups and through intermarriage, through the centuries. It happened in Cuba that the Spanish colonial encomienda, based on the imposed labor of Indians, gave way to the founding of several pueblos of free Indian families. Among these, San Luis de los Caneyes (El Caney), near Santiago de Cuba, became the origin and survival place for the Rojas-Ramírez families for three centuries. These newly liberated or recently isolated Indian families were granted the names Rojas and Ramirez, en masse, in baptisms under a Spanish governor and a Bishop with those last names. 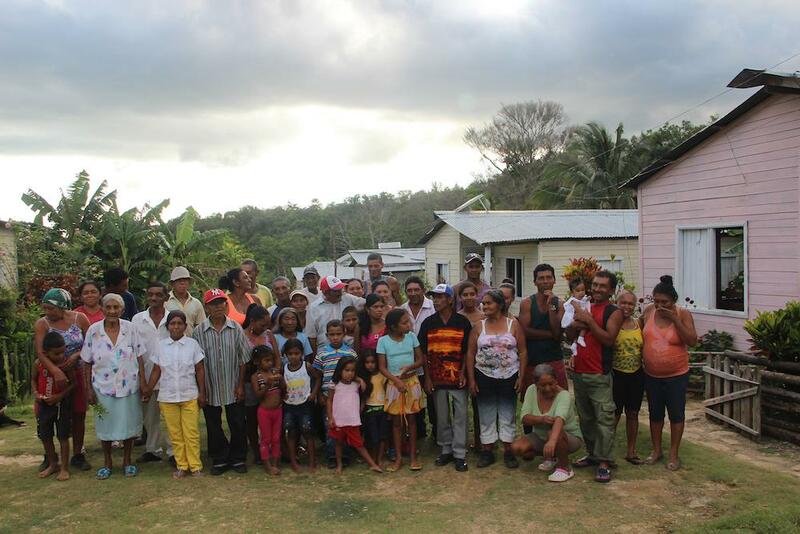 As of 2016, dozens of Rojas-Ramírez multifamily homesteads are scattered throughout the eastern mountains and a formal family count of the kinship group, still incomplete, stands at around 4,000. The Indian families as a whole retain considerable traditional ecological knowledge, along with legendary stories and ceremonies of fertility and protection that invoke the Moon, the Sun and the Mother Earth. In their healing traditions, they work with sacred trees, and they make wide use of medicinal herbal plants. 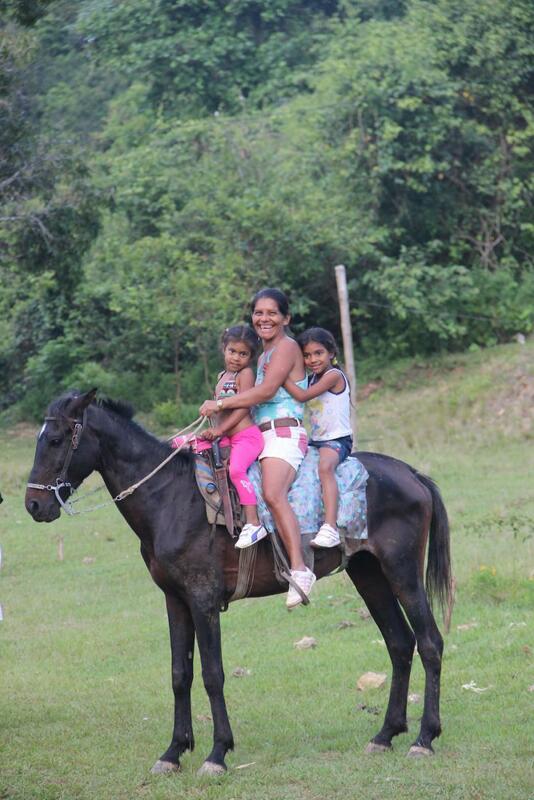 They are proud agriculturalists – campesinos – who enjoy and suffer the ups and downs of raising crops on the land. Along with Hartmann and a research team of community members, we traveled these thin mountain trails and visited with a good range of the Rojas-Ramírez folks. Beyond the bustle of the city and the frenetic salsa-driven cubanía of urban culture, a core of the national soul, the essence of its origin, resides in the Cuban countryside, in the mountains and remote coastal areas, among the people who work the land with the old Indian coa, or digging stick, plow with oxen-driven rigs and still ride horses as their main source of transportation. The high mountain lifestyle incorporates many Spanish and African cultural elements, yet the sense of Native belonging is obvious. 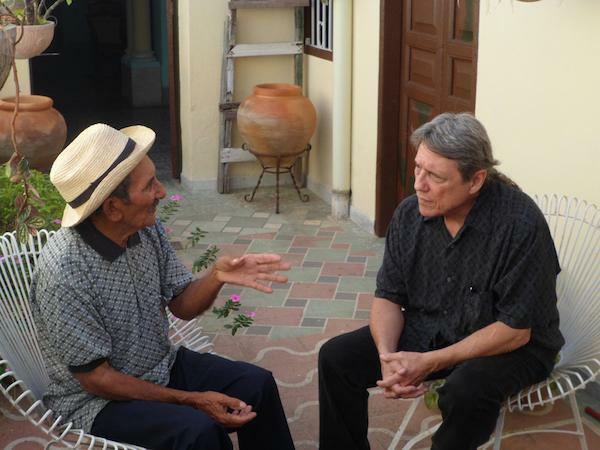 This Cuba profunda, as Hartmann deems it, still yields a wonderful oral tradition, of the people and by the people. After half a century of socialist revolution, a new Cuban generation seeks to deepen its identity, to see and experience an everwidening vision of society. In Cuba, as in most of the Americas, exploring the deeper layers of a country’s cultural origins reveals foundational forces, within which resonates indigeneity, the nexus of the people and the land. It surprises many people, even many Cuban people, that an indigenous community of substantial documented history and contemporary presence exists. It particularly elates many people that the elders of the Indian families continue to express spiritual and practical messages of respect for the Mother Earth and the productive qualities of mountain-farming techniques. For a country that experienced severe food shortages, and near-starvation conditions just a generation ago, it is a message that resonates. Many well remember that when the high-input Soviet style farms went defunct with the whole socialist bloc, it was in fact the old Taíno crops and endemic herbal medicines, applied along with new organic farming technologies, that saved the country from starvation. In Cuba, the discussion goes beyond acknowledging the Indian kinship group of the Rojas-Ramírez people of the Oriente. With the collapse of the Soviet Union, a broader debate on Cuban identity issues has intensified as well. Things ancient and traditional, practical and high-minded constitute a current of discussion. A vigorous urban agriculture, a green or agro-ecological movement grew and has matured in the past 30 years. As elsewhere, the discussion of indigeneity is impacted by new genetic studies, which for Cuba reveal that 34.5 percent of the general population is inheritor of Native-American mitochondrial DNA. The highest levels are found in the eastern region of Cuba: Holguín (59 percent) and Las Tunas (58 percent). This news has dealt a frontal blow to the historical dictum of early Native extinction. 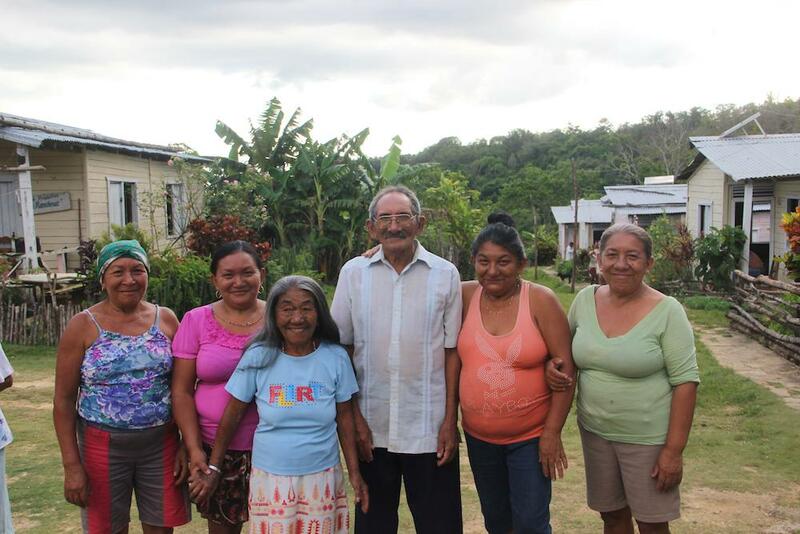 After years of modest traveling through Cuba rekindling the Native family bonds, the old campesino Cacique Panchito, mostly non-literate, formally broke through the historical extinction barrier in 2014, when his community was acknowledged at a formal national-international conference on Indigenous cultures of the Americas. He got to bring his message there, and to introduce his daughter, Idalis, to help him represent their community. As always, Panchito’s message was about working, loving and dreaming Mother Earth. Very simply, very consistently, he frames his words around the most important issue: invoking the proper farming and forestry techniques, and the spiritual values that underpin such a philosophy, to produce food and other natural gifts for the people. His consistent representation of the spiritual values that can still inform Cuba’s strong movement of ecoagriculture has resonated with currents in the new generation ready to engage the issues of people and the land. 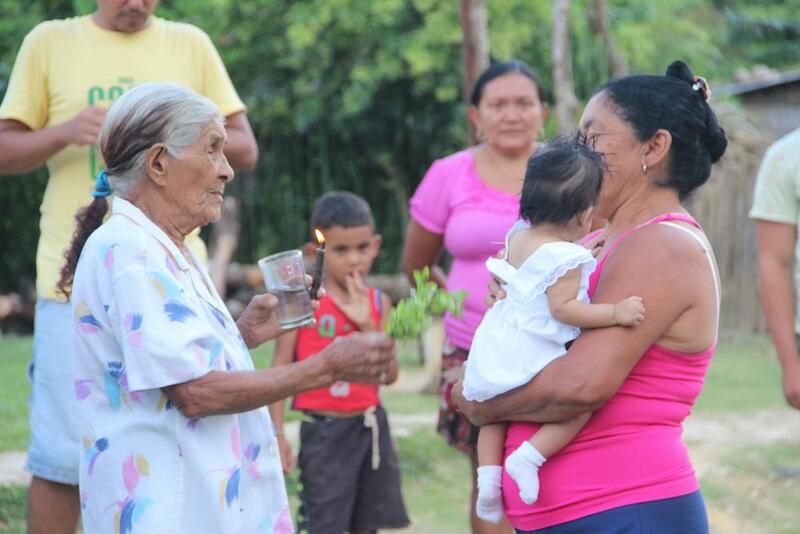 Today, one of Panchito and Reina’s daughters has requested a community baptism for her newborn granddaughter. 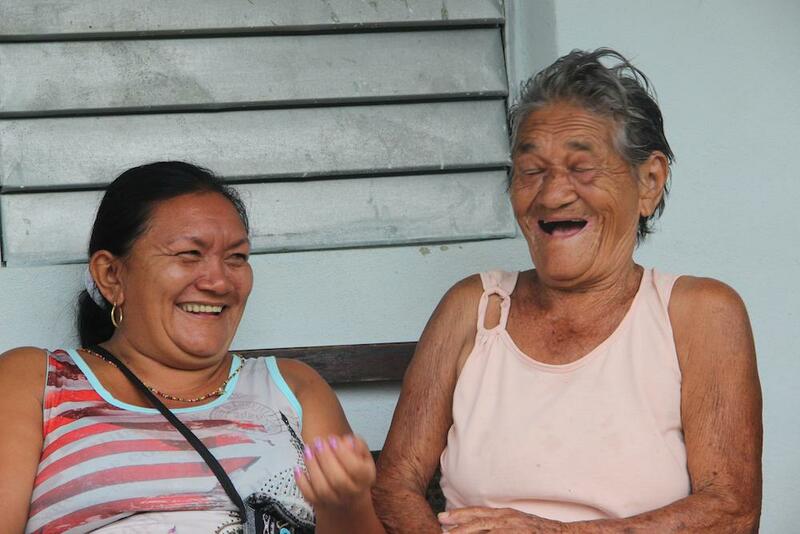 The job belongs to Doña Luisa, 94, oldest woman in the community. A circle is formed, outside, and under the midday sun. 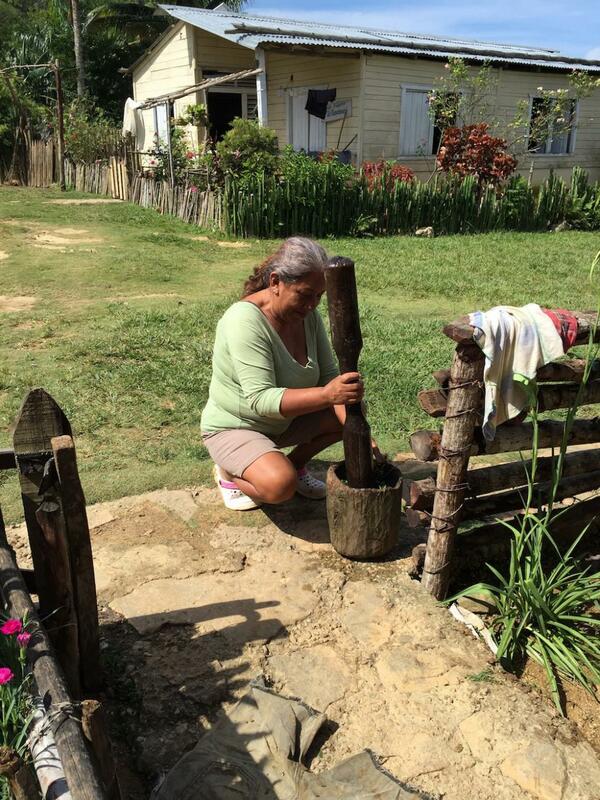 Doña Luisa bundles herbs with which to bless with water and leads a long prayer. The baptism has Christian elements but it is not merely so. A signal song and prayer of the community, appreciation to the Sun and the Moon, is intoned. José Barreiro, Smithsonian Scholar Emeritus, retired from the NMAI in 2016. He is a contributor and early curator for the upcoming exhibition, Taíno: Native Ancestry and Identity in the Caribbean.